The Ball Park at Jackson was in no condition for a game Saturday evening. 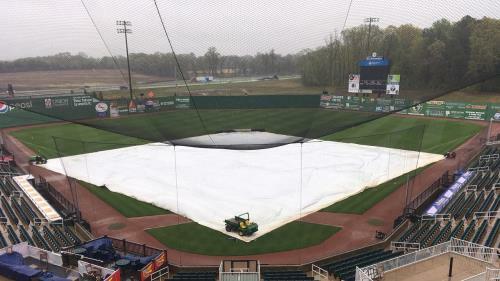 Jackson, Tenn. - The Jackson Generals postponed Saturday's scheduled game against the Chattanooga Lookouts due to inclement weather affecting the playing surface at The Ballpark at Jackson. The Generals (3-5) and Lookouts (4-3) will make up the game by playing a double-header on Sunday, April 14 beginning at 3:05 p.m. Regulation length for both games of the double-header will be seven innings.